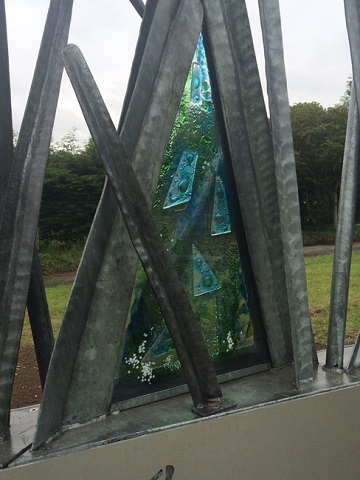 This public art project was commissioned as part of the ‘Re-imaging’ Building Peace Through Art Programme which was hosted by the Arts Council of Northern Ireland. 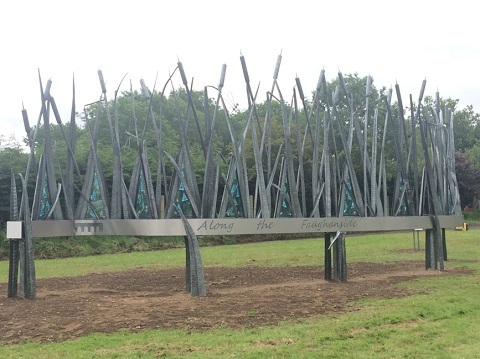 A representation of the bankside of the River Faughan as it flows through the village of Drumahoe, Co Derry, the work incorporates galvanised mild steel, stainless steel and kiln-fused glass. 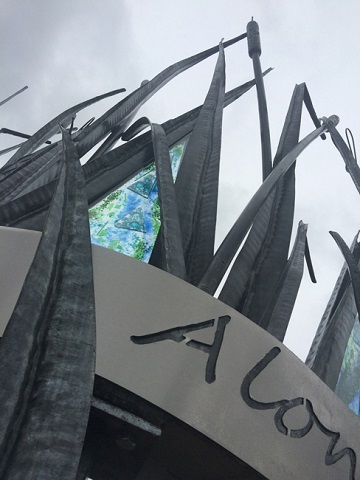 The work was installed in June 2015. 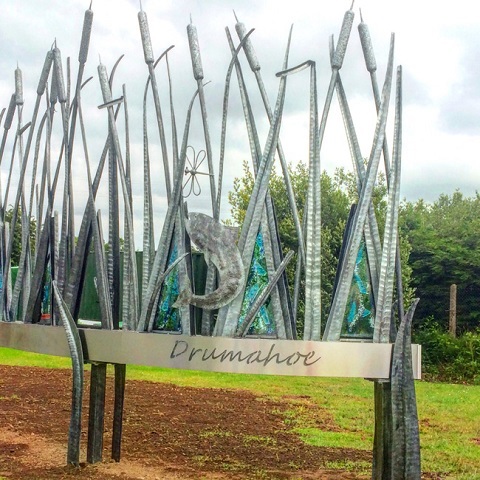 Located on the eastbound side of the Glenshane Road (A6) at the village of Drumahoe, the piece retains the galvanised finish texture consistent with the intention of the blacksmith.